A lot of people do best of the year posts, but I also like doing these best of the half-year ones, as I find it interesting to see how they change as the year progresses. The two sets of lists are rarely the same, of course – new works make each top five that I hadn’t read, watched or listened to in the first half of the year. But sometimes, works from the honourable mentions get promoted to the top five as my opinion changes of them. Every time I write one of these best of posts, I seem to start them with: it’s been an odd year for reading but I’m not sure why… Which I guess means they haven’t really been odd since they’ve pretty much been the same. It could mean, I suppose, that the last few years have felt like my reading lacks shape or direction because it’s not in step with the genre commentary I see online. After all, while science fiction still forms the bulk of my reading at forty percent, with mainstream fiction a distant second at 26%, I don’t generally read the genre books which are getting the buzz… And when I do, as I did with this year’s Clarke Award shortlist, then I have no idea why those books are receiving so much praise… Which is no doubt why only one category sf novel makes my top five – and only two genre titles appear in my honourable mentions… And yes, the one sf novel in my top five is on the Clarke Award shortlist (because it’s an exception to my earlier comments, of course). 1 The End of Days, Jenny Erpenbeck (2012). I knew the moment I finished this book it would make my top five for the half-year, and I’ve not read anything since (I read it back in March) that has impressed me as much. I plan to read more by Erpenbeck – although not all of her books have been translated into English. Although not published as genre, either here or in Germany, its central conceit is certainly genre – a young woman, who is born in the latter days of the Austro-Hungarian empire, lives out her life during the turbulent years of the early twentieth century. Sometimes, she dies; other times, she survives. It’s a similar premise to Kate Atkinson’s Life After Life; it’s also beautifully written and feels like a much more substantial read. The historical side is handled with skill, and the view it gives on elements of European history during the period in question is fascinating. I wrote about it here. 2 Vertigo, WG Sebald (1990). Sebald is in a class of his own, so his presence in this list is probably no surprise. 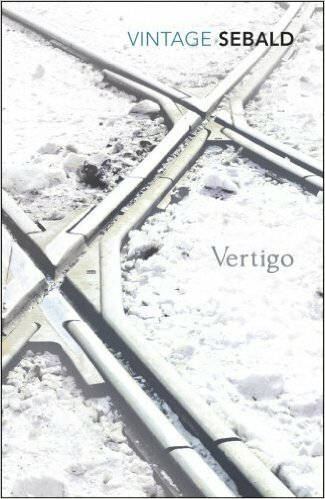 Vertigo is a collection of stories which have no overt link, but because of Sebald’s voice they read as a seamless whole. I’ve no idea how much of the novel is fact or fiction – it is, like Austerlitz, very autobiographical I suspect, but I’m not familiar enough with Sebald’s life and career to determine if parts of this novel – especially the section in which the narrator returns to his childhood village of W., notes the changes and reminisces about his time living in the village – although does not lessen my admiration of the book in the slightest (and learning the truth may well increase it). I’ve only read two Sebald books so far, and both made my best of the year lists. I still have one more, The Rings of Saturn, on the TBR. I think I should save it until next year. Anyway, I covered Vertigo in a blog post here. 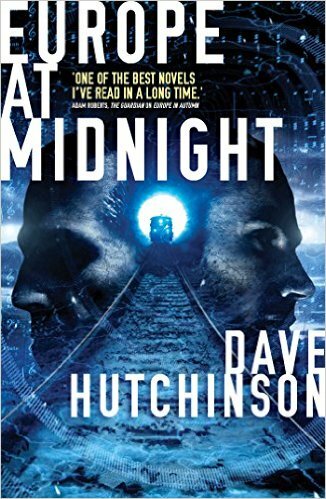 3 Europe at Midnight, Dave Hutchinson (2015). It’s been a good year for this book, with appearances on various award shortlists. And rightly so. It’s not quite a sequel to the earlier Europe in Autumn, but it’s better for not being one. And thanks to the rank irresponsibility of our government in calling this stupid referendum, Europe at Midnight has become unfortunately topical. I say “unfortunately” because it’s obviously not the book’s fault, and although its creation of a pocket universe England might map onto the wishes of assorted Brexit fuckwits, I know the author’s sympathies don’t lie there and the novel’s Gedankenexperiment is in no way an endorsement of them. Of course, no one ever accused Le Carré of being pro-Soviet but then his novels presented the USSR as the enemy… And I’m digging myself into a bit of a hole here as Hutchinson’s Community is also presented as the enemy. But never mind. I wrote about this book here. 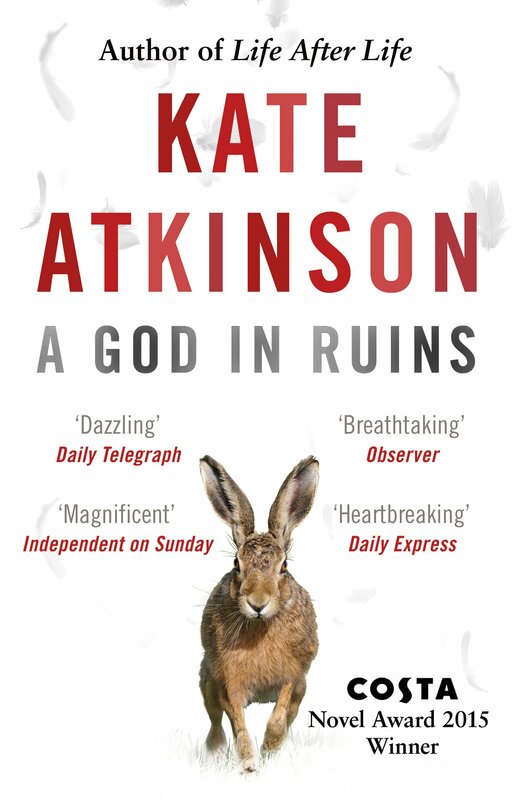 4 A Gods in Ruins, Kate Atkinson (2015). Like the Hutchinson, this is a sequel of sorts to an earlier novel, Life After Life, although it neither continues the plot, nor uses the same cast, as its predecessor. I thought Life After Life good – an immensely readable novel – and even nominated for the Hugo (of course, it didn’t make the shortlist). A God in Ruins is, I think, slightly better. Its central conceit is dialled back more in the narrative, but it’s just as hugely readable as Life After Life. A God in Ruins is the story of the life of a man who fought during WWII and so tries to live a blameless live afterwards. It is, sort of, a variation on A Matter of Life and Death; but in a way that is neither obvious nor intrusive. 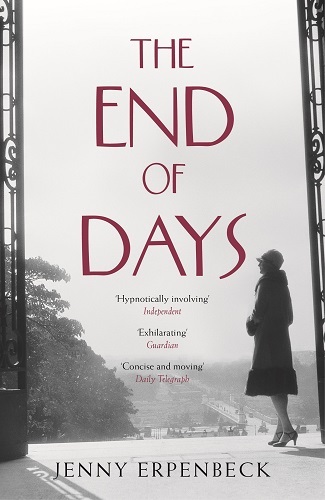 For much of its length, it’s a lovely piece of historical writing, of personal history stretching much of the length of the twentieth century; but there’s an added dimension which is only hinted at. I wrote about it here. 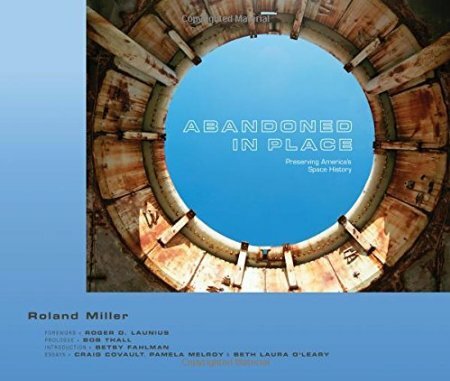 5 Abandoned in Place, Roland Miller (2016). It’s all very well celebrating the achievements of past years, but often all we have as evidence are words in books. True, there is evidence aplenty on the surface of the Moon to prove that twelve men once walked there (assorted fuckwits who insist it was all faked aside), but in order to view that evidence we would have to, er, visit the surface of the Moon. There is, however, a lot of evidence remaining on Earth that something involving trips to the Moon took place – launch platforms, rocket test stands, etc – and it’s hard to imagine anything with such concrete (in both senses of the word) physicality being part of a great confidence trick. Is there a word which means the opposite of “paleo-archaeology”? Hunting through the abandoned remains of great engineering projects from last century, which either failed or have long since run their course? Neo-archaeology? This book celebrates one particular engineering project that ended over forty years ago – and it’s one that’s fascinated me for years. I wrote about Abandoned in Place in a post here. Honourable mentions: Sisters of the Revolution, Ann & Jeff VanderMeer, eds. (2015), an excellent reprint anthology of feminist sf, containing a couple of old favourites, and much that was new to me – some of which became new favourites; Soviet Ghosts, Rebecca Litchfield (2014), another photographic essay, this time of abandoned buildings and plants in what was the USSR and its satellites; Wylding Hall, Elizabeth Hand (2015), strange goings-on when a 1970s UK folk band record at a haunted manor, handled with a lovely elegiac tone; Cockfosters, Helen Simpson (2015), a new collection by a favourite writer, so of course it gets a mention; In Ballast to the White Sea: A Scholarly Edition, Malcolm Lowry (2014), a “lost” novel and never before published, it’s certainly not among his best but the copious annotations make for a fascinating read; Women in Love, DH Lawrence (1920), his best-known novel after Lady Chatterley’s Lover and just as notorious back in the day for its rumpy-pumpy, but I love Lawrence’s prose… and if the philosophy and politics in this are somewhat dubious, I still have that; and The Robber Bride, Margaret Atwood (1993), not since Alias Grace have I read an Atwood novel I enjoyed so much on a prose level, so for me this is currently her “second-best” book. 1 An Autumn Afternoon, Yasujiro Ozu (1962, Japan). My introduction to Ozu’s work was Tokyo Story which, at the time, I didn’t really take to. But he has been repeatedly recommended to me, and Floating Weeds was on the 1001 Movies You Must See Before You Die list, so I rented it… and liked it quite a lot. But the (I think) Criterion edition DVD cover art of An Autumn Afternoon reminded me a great deal of Michelangelo’s Antonioni’s Red Desert, a film I love, so I wanted to watch that. And after a false start, buying Late Autumn by mistake, but loving it all the same, I eventually got myself a copy of An Autumn Afternoon… And that convoluted route to it totally worked in its favour. Late Autumn I thought really good, but An Autumn Afternoon struck me as a somewhat satirical take on similar subject matter – and so perversely reminded me of my favourite Douglas Sirk movies – but it also seemed a distillation of all those elements of Ozu’s cinema I had noted in Tokyo Story and loved so much in Late Autumn. 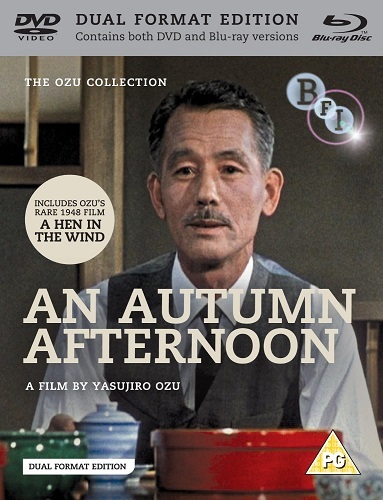 I have now added the rest of the BFI editions of Ozu’s films to my wants list. 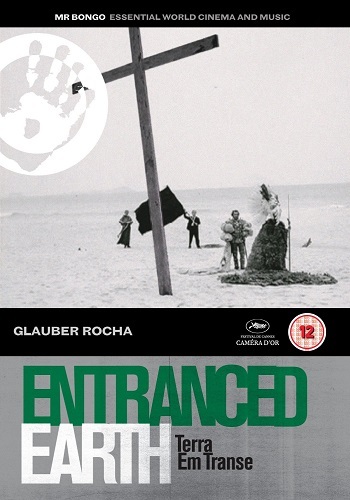 2 Entranced Earth, Glauber Rocha (1967, Brazil). This wasn’t quite a “Benning moment”, where I loved a film so much I immediately went and bought everything I could find by the director… although I did indeed love this film and immediately went and bought everything I could find by Rocha. But, I must confess, wine was involved in the Rocha purchase, whereas it wasn’t in the Benning one. Not that I regret buying Black God White Devil, Entranced Earth or Antonio das Mortes, as all three are fascinating films – but Entranced Earth remains my favourite of the three. Not only is the Brazilian landscape unfamiliar enough I find it strangely compelling, but the film also features scene of political declamatory dialogue, which I love. 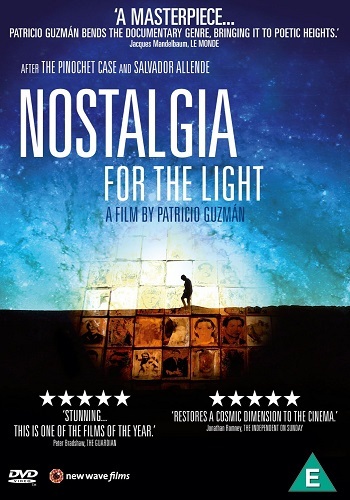 The film is part of Brazil’s Cinema Novo movement, which seems to be like France’s Nouvelle Vague in parts but Italy’s Neorealism in others. There’s a crudity in production which, perversely, seems a consequence of, as well as an enabler for, a film closer to the director’s vision than might otherwise have been the case. And I really like that, I really like that movies like this are closer to the creative process than is typical in our commodified homogenised product-placement Hollywoodised cinema world. There are those directors who muster sufficient clout in their nation’s cinema industry they can make whatever they like, but there are also those who make great films because of their total lack of influence… and it’s the latter who often produce the more lasting work. Like this one. 3 Koyaanisqatsi, Godfrey Reggio (1982, USA). I’ve no idea how many years I’ve known about this film, but I’d never actually bothered watching it. Something about what I’d heard about it persuaded me I wouldn’t enjoy it – and while that may have been true twenty years ago, it could hardly be true now given my love of Benning’s work. But it was on the 1001 Movies You Must See Before You Die list, so I stuck it on the rental list, it duly arrived… and I was capitivated. The score and cinematography worked perfectly together – and while it’s a more obvious approach to its material than anything by Benning, that doesn’t mean it isn’t a beautifully-shot piece of work. I ended up buying the Criterion Blu-ray edition of all three Qatsi films, which, in hindsight, was a mistake, as the transfers of the first two don’t really do the format justice. 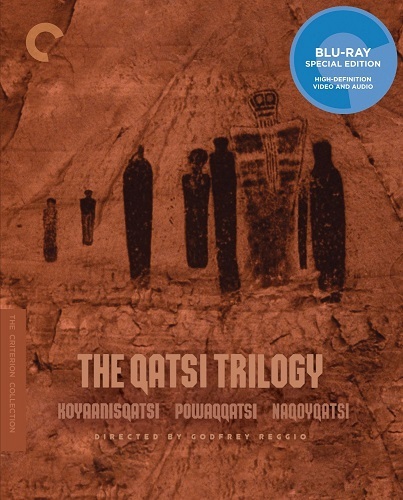 The sequel, Powaqqatsi, is very good, although not as good as Koyyanisqatsi; but the third film, Naqoyqatsi, sadly suffers because its use of CGI (in 2002) makes it appear a little dated. All three are worth getting. But not on Blu-ray. 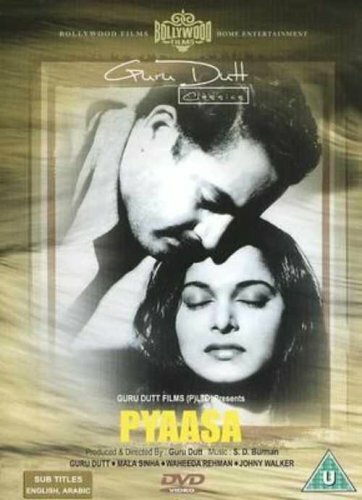 5 Pyaasa, Guru Dutt (1957, India). There are a couple of Bollywood films on the 1001 Movies You Must See Before You Die list, and so I rented them and enjoyed them; and while they may be superior examples of the genre (if “Bollywood” could be called a genre) and great fun to watch, to be honest they struck me as no more worthy of inclusion than a great many of the US films on the same list. But then I stumbled across a list of Bollywood classic films, and decided to try a few more than the two or three on the 1001 Movies You Must See Before You Die list… Which is how I discovered Guru Dutt. He’s been described as “India’s Orson Welles”, which I think is a somewhat unfair label as it suggests he’s an imitator; but while Dutt’s films certainly follow the forms of Bollywood movies, they’re also well-constructed, cleverly-written dramas. After seeing Pyaasa, I bought a copy of his Kagaaz Ke Phool, which I also thought very good; and I have his Aar Paar on the To Be Watched pile (as well as the 1985 film of the same title, because the seller buggered up my order). I think Dutt would be a perfect candidate for the BFI to release on DVD/Blu-ray. Honourable mentions: Yeelen, Souleymane Cissé (1987, Mali), an old Malian fantasy tale told in a straightforward way that only highlights its strangeness; Come and See, Elem Klimov (1985, Russia), the banal title hides a quite brutal look at WWII in Russia; Shock Corridor, Samuel Fuller (1963, USA), a low budget thriller that rises above its production values, but then Fuller was good at that; Falstaff – Chimes at Midnight, Orson Welles (1966, Spain), a mishmash of Shakespeare’s various depictions of the title character, but it works really well and after watching it my admiration of Welles moved up a notch; Story of Women, Claude Chabrol (1988, France), a heart-breaking story of France’s mistreatment of its women during WWII, played strongly by the ever-excellent Isabelle Huppert; Osama, Siddiq Barmak (2003, Afghanistan), an even more heart-breaking film about the mistreatment of women by the Taliban; A Simple Death, Aleksandr Kaidanovsky (1985, Russia), a stark and beautifully-shot adaptation of Tolstoy’s ‘The Death of Ivan Ilyich’; Evangelion 1.11 and 2.22, Hideaki Anno (2007/2009, Japan), giant mecha piloted by high school kids battle giant alien “angels”, which as a précis does very little to describe these bonkers animes; Storm over Asia, Vsevelod Pudovkin (1928, Russia), a beautifully-shot silent film set in Mongolia; Fires Were Started, Humphrey Jennings (1943, UK), firemen during the Blitz by one of Britain’s best directors, but I probably need to rewatch his films to decide if this is his best; London, Patrick Keiller (1994, UK), it reminds me a little of Benning, but the arch commentary by Paul Scofield is hugely appealing; and Jeanne Dielman, 23 Quai de Commerce, 1080 Bruxelles, Chantal Akerman (1975, France), a mostly-silent, almost entirely unadorned depiction of three days in the life of the title character, which makes for fascinating viewing despite its lack of action or, er, plot. 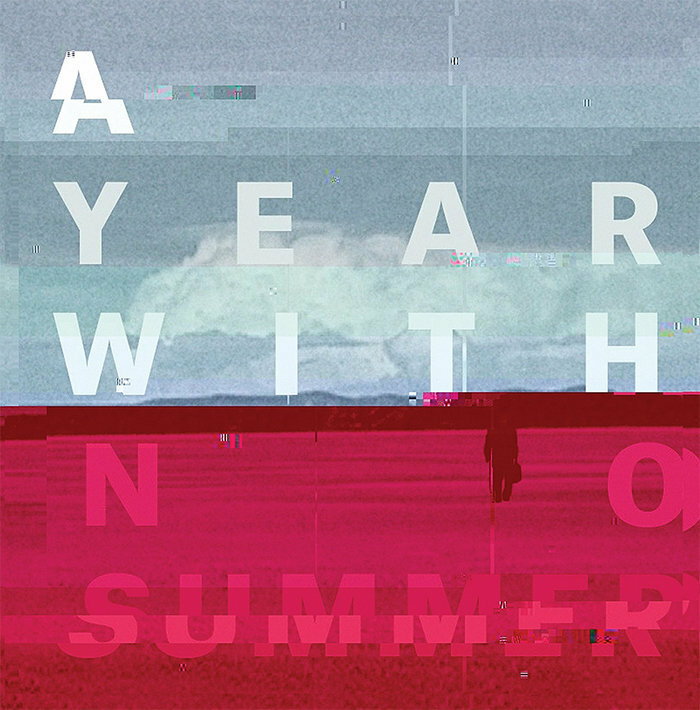 1 A Year With No Summer, Obsidian Kingdom (2016). I saw this band perform at Bloodstock in 2014 and thought them so good I bought their album as soon as I got home. And now, after four years, a second album finally appears. In some respects, Obsidian Kingdom remind me of fellow countrymates NahemaH and Apocynthion, although they’re not as heavy as those two bands. They’re progressive metal, of a sort, and they build up a wall of sound with guitars and drums, not to mention the odd electronic effect, that’s extremely effective. The songs are complex, often very melodic, and move from dreamy to aggressive and back again very cleverly. 2 Afterglow, In Mourning (2016). 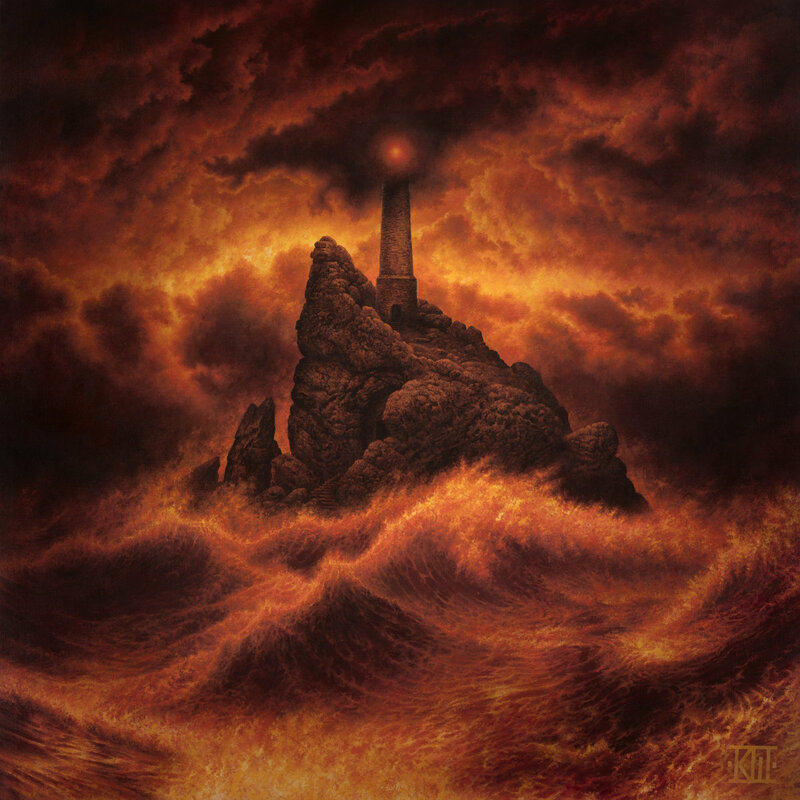 I’ve been a fan of In Mourning since first hearing the monumental The Weight of Oceans, which remains one of the best progressive death metal albums of recent years. Afterglow doesn’t start as strongly as that earlier albums, but a couple of tracks in it turns more progessive and the melodic hooks which characterise the band begin to appear. By the time the last song fades away, you know it’s another excellent album. 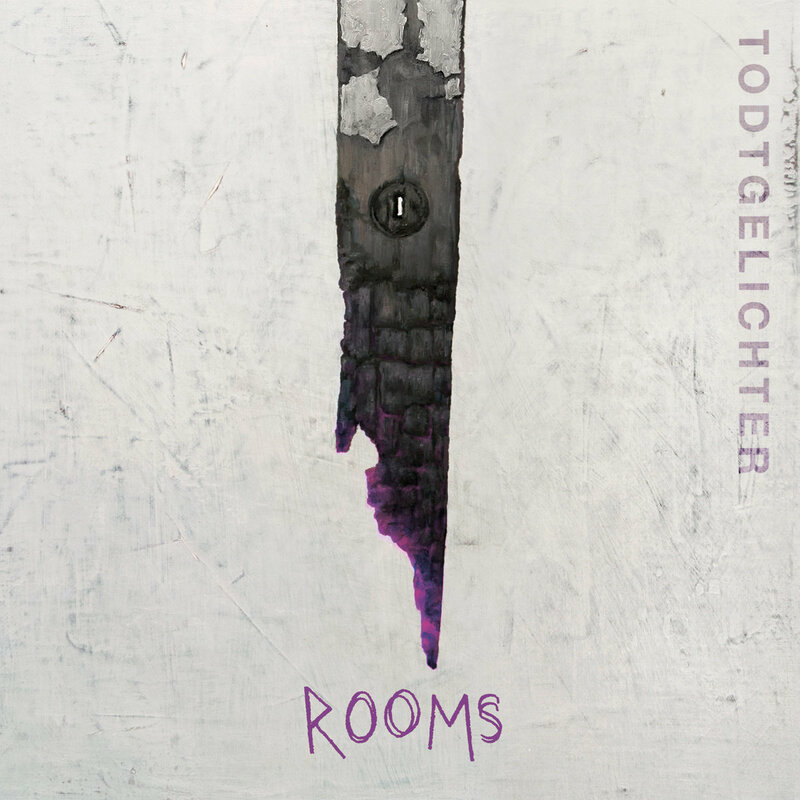 3 Rooms, Todtgelichter (2016). The name of a band isn’t always a clue to its origin, but yes, Todtgelichter are German. And they play a sort of guitar-heavy post-black metal that works really well. Most post-black bands – I’m thinking of Solefald as much as I am Arcturus – tend to incorporate all sorts of musical influences; but Todtgelichter keep it simple and heavy and hard-hitting, and it works extremely well. 4 Eidos, Kingcrow (2015). It’s an entirely international line-up this top five, with Spain, Sweden, Germany, and now Italy. 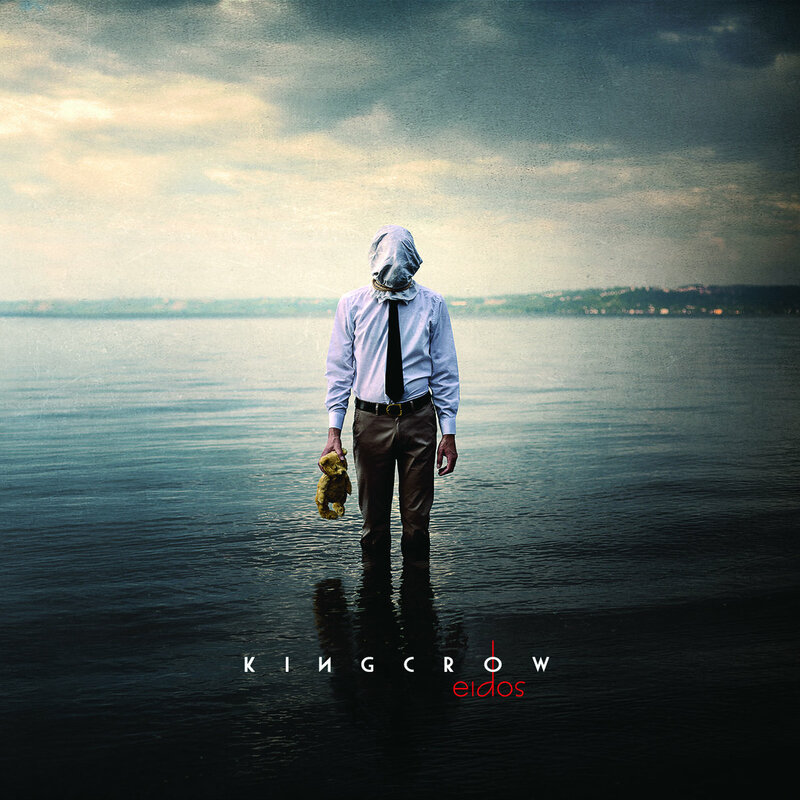 Kingcrow play progressive metal, although this is no Dream Theatre. They sound in parts very like Porcupine Tree – which is a perfectly good band to sound like – and on one track, ‘Adrift’, the main guitar part is almost pure Opeth. As influences go, you can’t really do better than that. 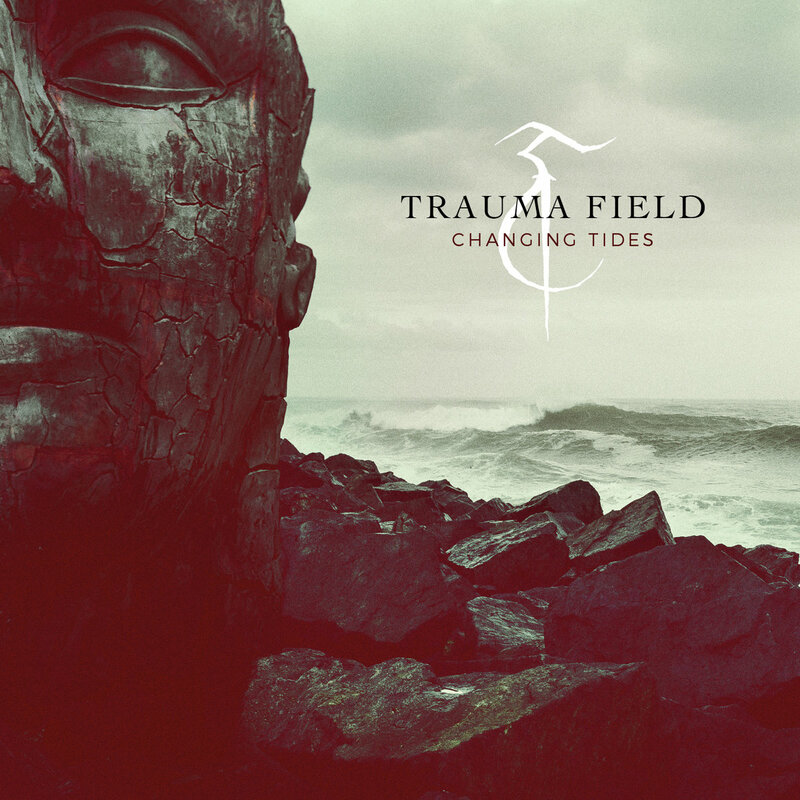 5 Changing Tides, Trauma Field (2016). I stumbled across Trauma Field a year or two ago when I found their 2013 album Harvest on bandcamp. It seem to me there were bits of fellow Finns Sentenced in there – although Sentenced never used a female vocalist that I can recall – but also a more progressive element than that band had ever incorporated. This new album feels a little lighter in tone, much more atmospheric, and is definitely less Sentenced-like… which is, of course, good. Unfortunately, there are no honourable mentions so far this year. I’ve just not been listening to enough new music. I do most of my listening at work, and I’ve been so busy there I’ve not had a chance. Categories: 2016 roundup, books, films, music | Tags: aleksandr kaidanovsky, ann and jeff vandermeer, chantal akerman, claude chabrol, dave hutchinson, dh lawrence, elem klimov, elizabeth hand, glauber rocha, godfrey reggio, guru dutt, helen simpson, hideaki anno, humphrey jennings, in mourning, jenny erpenbeck, kate atkinson, kingcrow, malcolm lowry, margaret atwood, obsidian kingdom, patricio guzmán, patrick keiller, rebecca litchfield, roland miller, samuel fuller, siddiq barmak, souleymane cissé, todtgelichter, trauma field, vsevelod pudovkin, wg sebald, yasuj | Permalink.